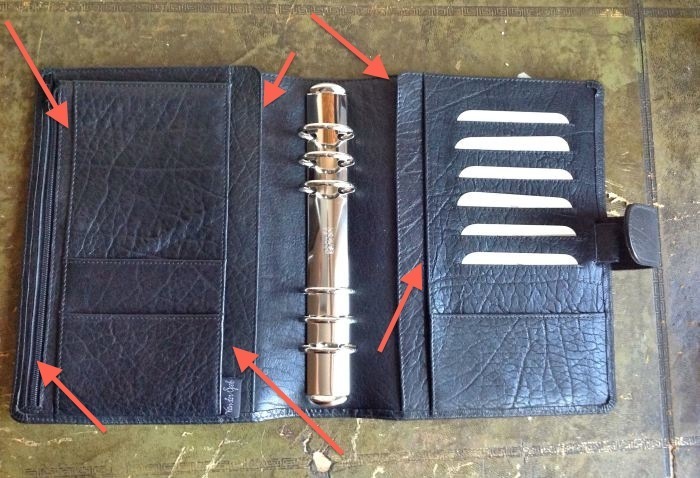 The arrows show how many pockets there are – unusually many compared to many other A5 binders. 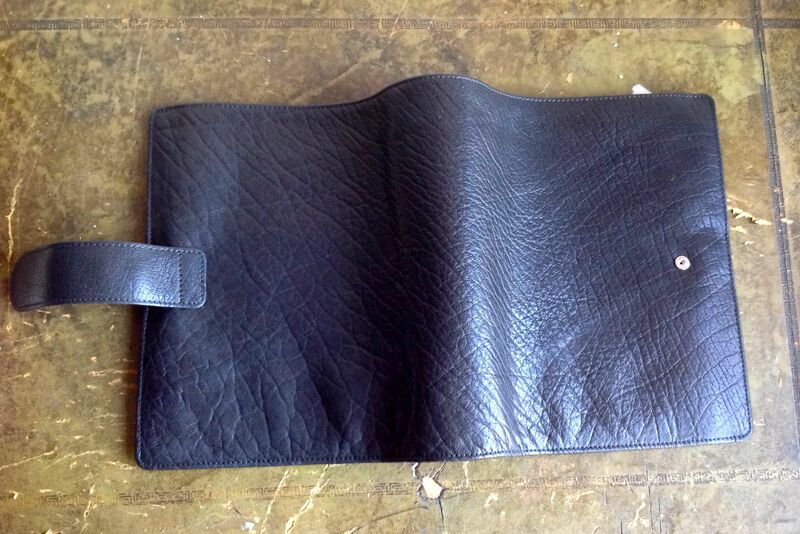 In addition to the arrowed ones, there is a full length wallet pocket across the back of the binder. 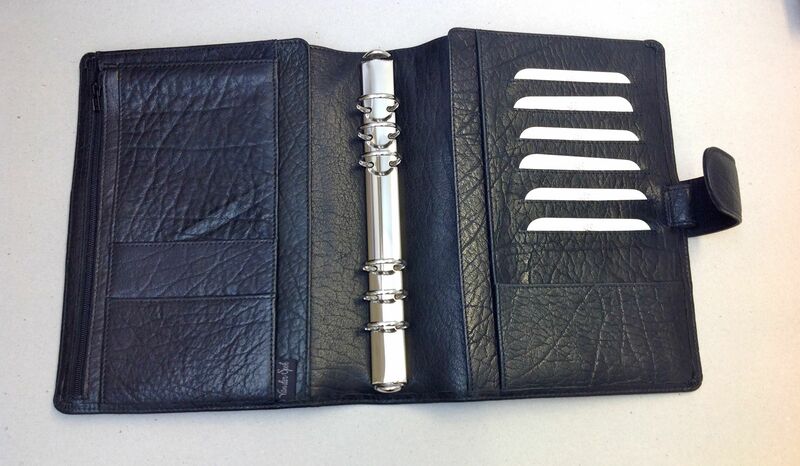 These Touch Me binders are made from buffalo leather and offer the full length back wallet pocket in all sizes. These full length back pockets are very sought after and found in only a few binders in larger sizes – for example the Gillio Mia Cara and Compagna, some of the Filofax Balmorals and Raika (in personal size). 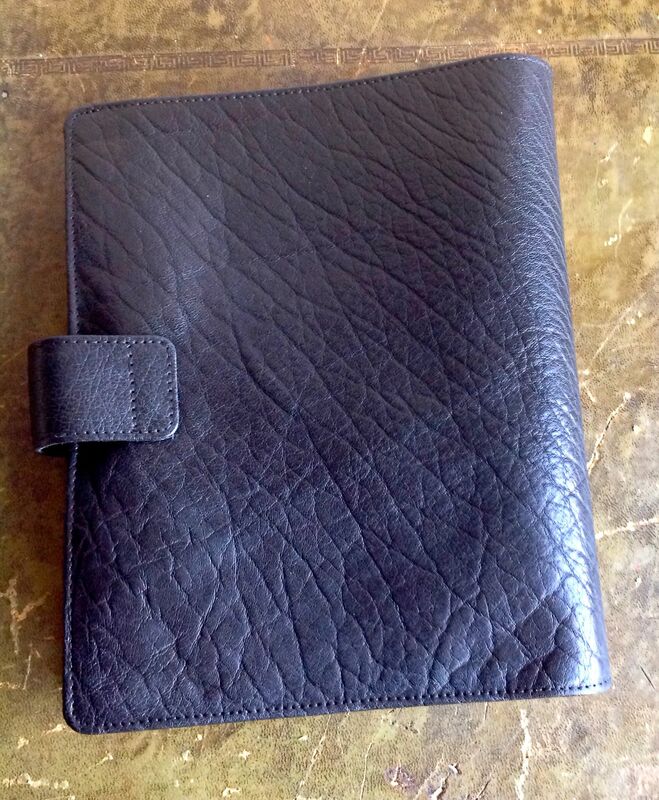 They are very well designed and have a nice number of credit card pockets, secretarial pockets (another feature that is liked but not offered that often) and slip pockets, as well as a zipped pocket. The rings are replaceable and you can choose between 25mm and 35mm in A5 size and 25mm and 30mm in standard size. 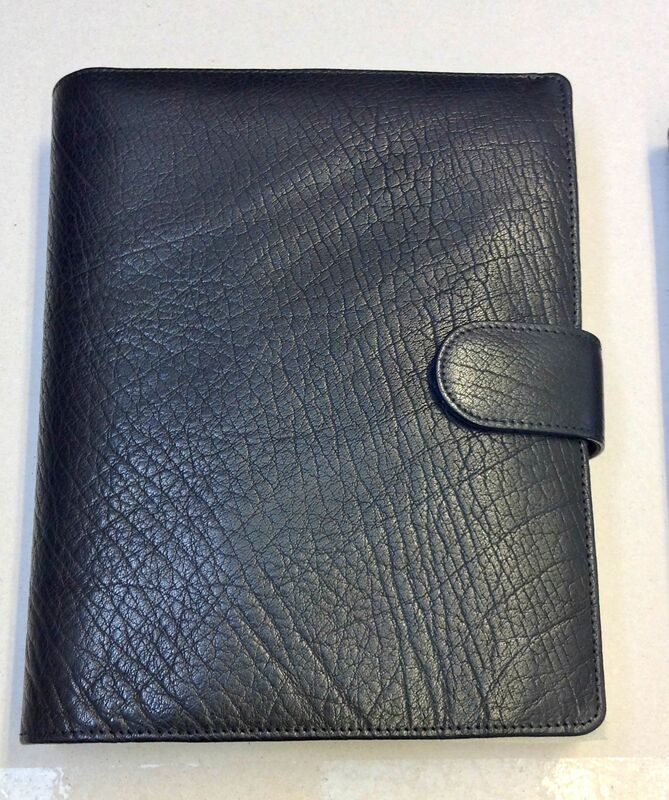 A combination of five very sought after features (floppiness, full length back pocket, secretarial pockets, replaceable rings and large rings) plus a very reasonable price makes this a lovely binder. To be honest I am surprised I waited so long to buy one. And now that I have them, I know I will getting both black and brown in each. They are not available in colours but for me this is no problem as I usually buy only brown binders anyway. The one disadvantage of a binder like this which looks and feels so amazing, is that when you buy it online you cannot feel or see them – because they are way more beautiful than they sound when described or depicted on a website. ‹ This is really amazing! OMG what an absolutely beautiful binder. I’m sure this is not affordable for me but what roughly would be the cost of just a standard touch me binder with 30 mm rings shipped to the USA? VAT is like General Sales Tax. It stands for Value Added Tax. So you won’t pay that. To calculate euro to usd you can use Google for each amount. Just type the amount in euro and then type usd. Or you can use xe.com – and just pop the amounts in. I don’t use euro myself so I use converters to get my amount in Swedish crowns. Did you manage to sort out the calculations? If not, tell me what size you are after and I will see if I can help! Hi Janet … I spent quite a bit of time on the Van der Spek website and ended up totally confused. Ha Ha Ha! 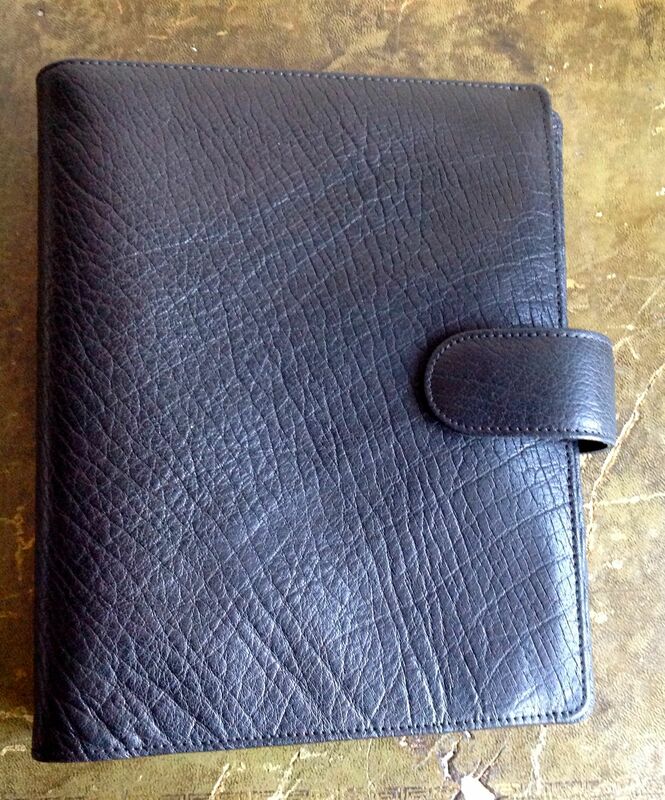 The size I am interested in is comparable to a Filofax Personal and not an A5. I think that the part that confused me most on the website was that I would want 30 mm rings and I could not find that option for the “Touch Me”. Was that a special favor that they did for you? I am not fussy about color of rings. Maybe I was in the wrong place on the website. The new batch of Touch Mes are designed for bigger rings and they will be on the website at the end of the month. The ones I have with bigger rings were not designed for them so I put them in afterwards and it is a bit of a squash! They are not an option on the website. Hi Janet, Thanks for the information. I will keep that in mind and check back at the end of the month to see what the price might be for the Touch Me with the larger rings. I have binders here that I am using that I have actually performed surgery on and have replaced existing rings with larger rings and so, for me, the larger rings are pretty much essential.